1. What kinds of hazards is the wearer exposed to? Do you need to ensure that the wearer is protected against mechanical injury, such as scratches or abrasion wounds? If so, “Mechanical protection” is the category you’re looking for. There may also be a risk of cuts or even minor burns. Or are your employees exposed to chemicals in the course of their work? 2. What is the primary activity in the workplace? The first step in determining the hazard category is usually an easy one – but now you need to take a closer look at your application. For example, let’s assume that your employees are at risk of cuts and you therefore selected “Cut protection” at step 1: What kind of tasks are employees required to execute with their hands? Does the work require precision and dexterity? If so, the category you need is obvious. Or do employees complete more heavy-duty tasks, such as handling panes of glass or heavy metal components with sharp edges? If so, opt for gloves from the “Heavy duty” category – your employees will need a very robust glove. If the activity performed by your employees is neither precision or heavy-duty work, an All-round glove is probably your best option. These gloves can be used for general tasks and also when switching between different activities that require a strong safety glove. We recommend that you select the category that best matches the activity that the employees perform for the majority of their working day. 3. What are the conditions in the workplace? You’re nearly ready to select the right glove for your application. There’s just one question left to answer: What are conditions like in the workplace? Will the glove come into contact with wet or oily workpieces? 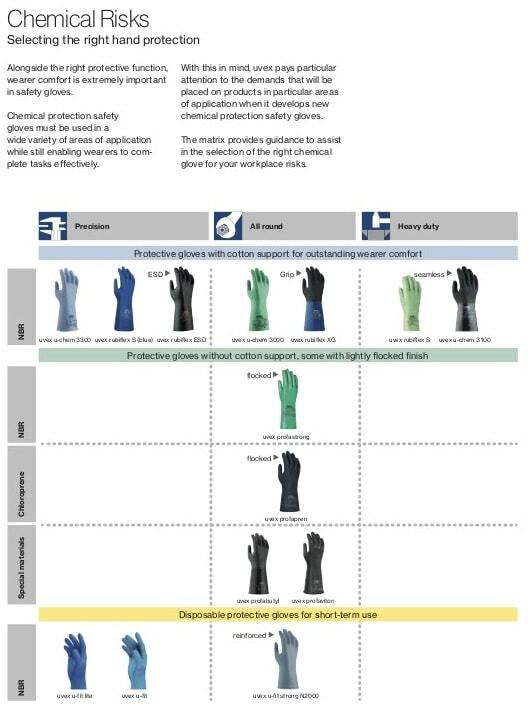 If your employees handle small, sharp and oily components, they will need a different cut protection glove to people working in a completely dry environment. The difference between these gloves lies in the coating, which will determine whether the glove is water-tight, water-resistant or breathable. 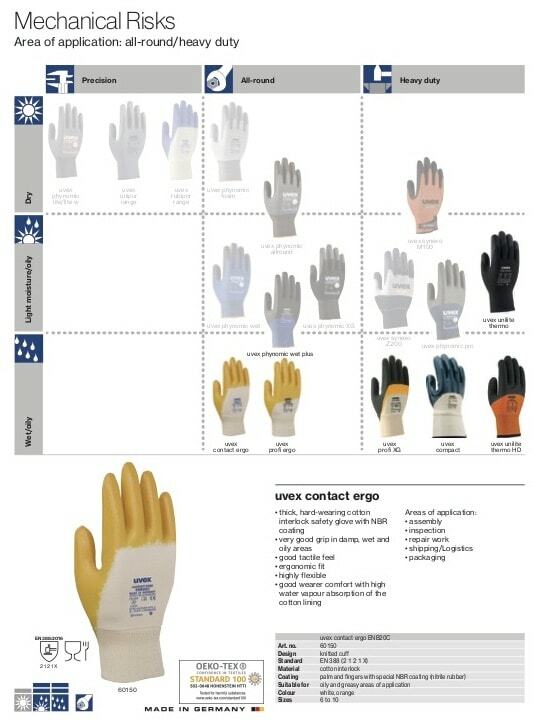 All uvex safety gloves are categorised according to which types of environment they are suitable for: either “dry”, “damp to slightly oily” or “wet to oily”. 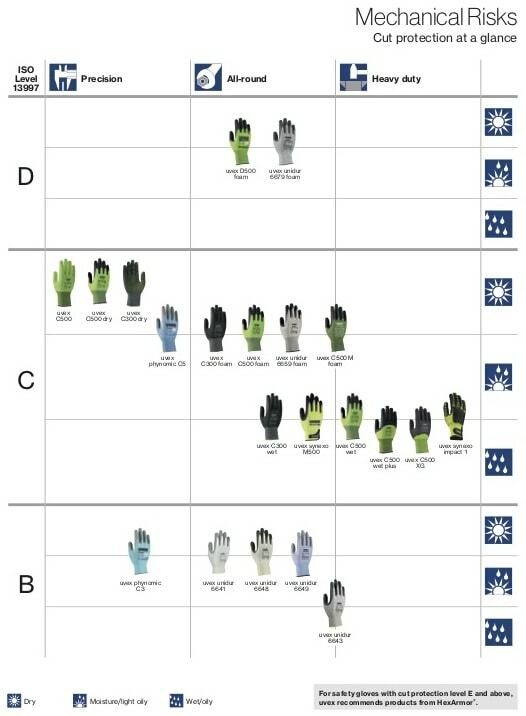 The level indicated above each symbol tells you how suitable the glove is for each type of environment. 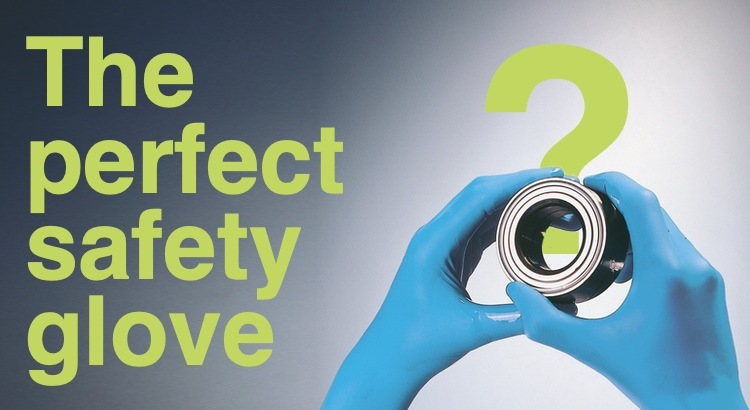 If you have any questions or need any further assistance selecting the right safety glove for you, please do not hesitate to contact our specialist team. They will happily visit you to advise on the right type of glove for your application: Because every workplace is different, your glove needs to fit! Enlightening blog related to PPE. I appreciate all the information you gave in regards Safety Gloves. We can also create safety awareness by installing right way of wearing PPE Safety posters. Thanks! Thanks for sharing this useful guide PPE essentials! Wearing Safety Gears like gloves and masks on the workplace can save you from lots of diseases and injuries especially when you are working or handling with chemicals or any mechanical work. Some chemicals can even cause cancer so it’s very important to choose high-quality gloves that can protect you from chemicals and dangerous gases and other safety hazards in the workplace.